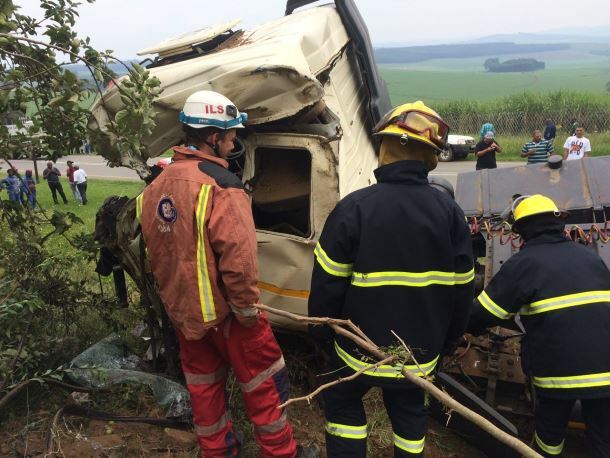 A man, believed to be in his 30s, was killed this morning after his truck rolled off the R33 in New Hanover in KwaZulu-Natal. ER24 paramedics, along with Fire Services, arrived on the scene and found the truck lying on its side against a fence. On closer inspection, paramedics found the body of a man lying inside the cab of the truck. Paramedics assessed the man and found that he had already succumbed to his multiple, fatal injuries. Nothing could be done for the man and he was declared dead on the scene. Rescue services had to use specialized rescue equipment to free the body of the man from the vehicle. It is believed that the driver lost control of the vehicle, causing it to roll. Local authorities will be launching an investigation into the matter.